"Spring cleaning" isn't limited to what you're doing with your closets. Celebrate the spring equinox (the first official day of spring) by clearing out what isn't serving you in your life anymore and making room for what does The Spring equinox is a time of balance, with equal hours of day and night, light and dark. It's a perfect time to let go of the past and of the winter season and set positive intentions for the new Spring season. 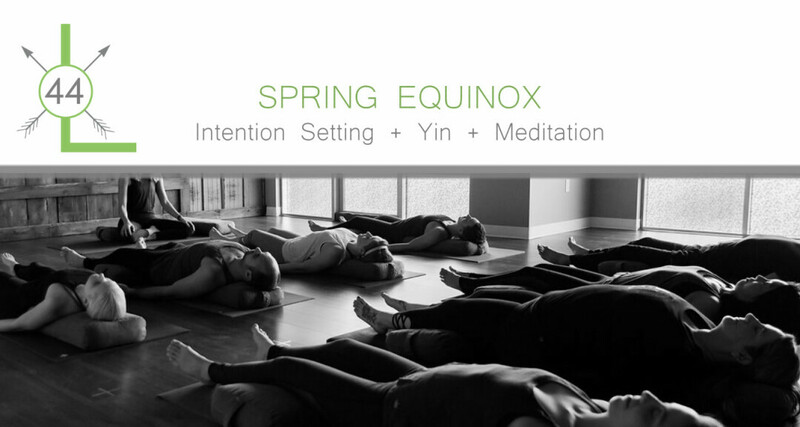 This two hour workshop will combine yin yoga, intention setting, and guided meditation with singing bowls to de-clutter the mind and body, creating space for new possibilities and creations.